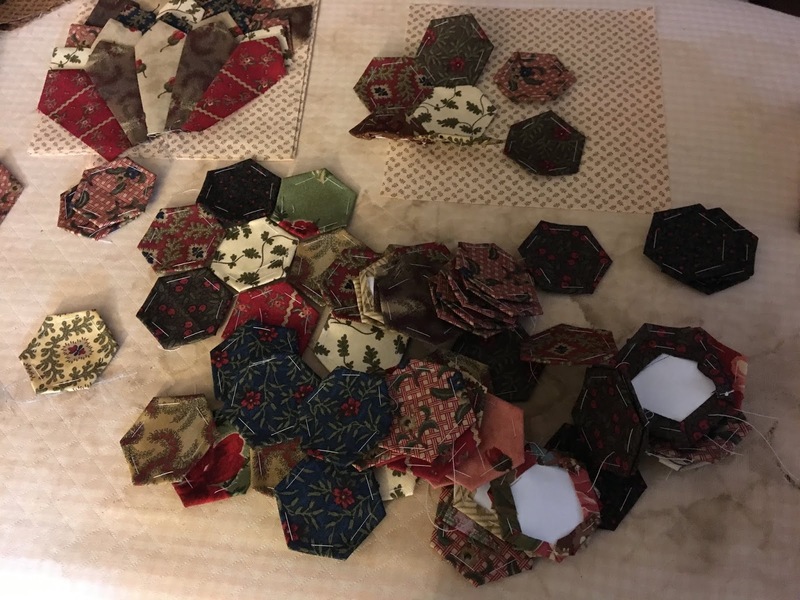 It's been a busy couple of weeks here at Little House, kids and crafts, two of my favorite things. 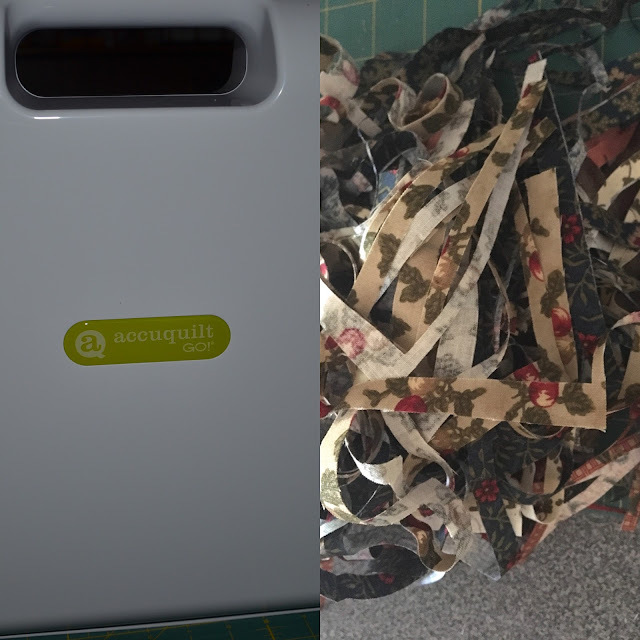 First up, I bought an Accuquilt Go machine. Strip cutting was causing me a lot of right sided pain from my jaw line to my fingers-arthritis and age catching up with me. 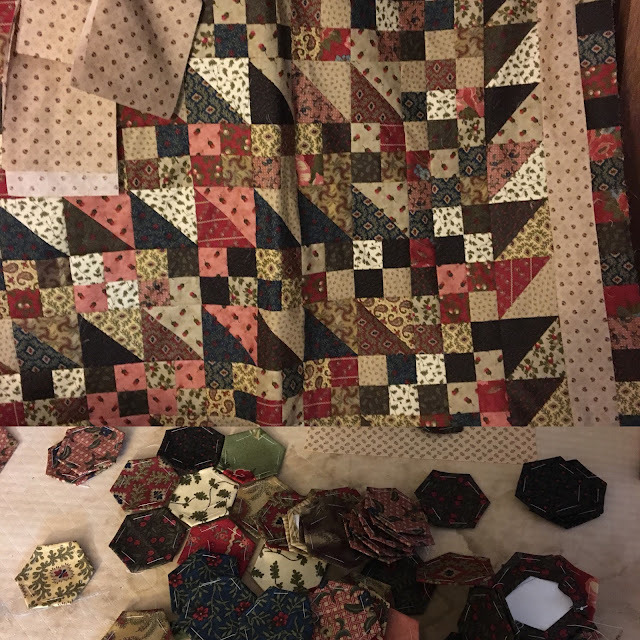 I am amazed at how fast I can cut out a quilt pattern! And...it clips the corners on triangles, YEAH! I have planted Hollyhocks for years with little luck of getting a seed to grow into a plant. Not this year, I have a huge giant of a plant with dark black/purple flowers. This plant is over 10 feet tall! It's a beauty! 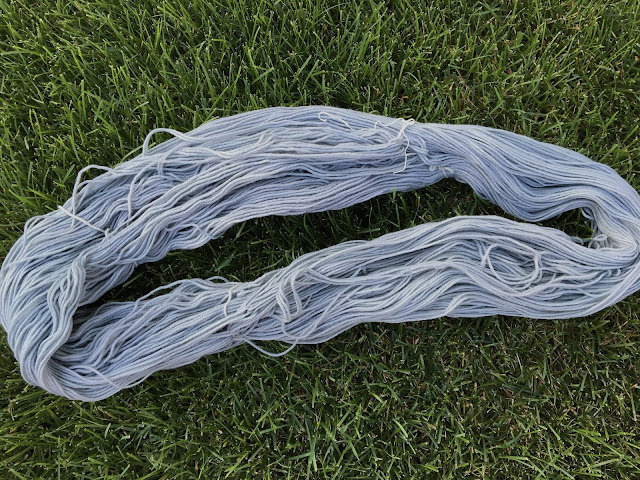 I follow Small Things and love Ginny's yarn that she dyes with flowers. When I saw her Hollyhock dyed yarn and I had the same plant in my yard, I knew I had to give this a go. Ginny was so gracious when I contacted her to give me advice on how to use Hollyhocks, she walked me through the entire process-so kind! The above pictures is the result of my Hollyhock plant dyed yarn and I am pleased with the end result. 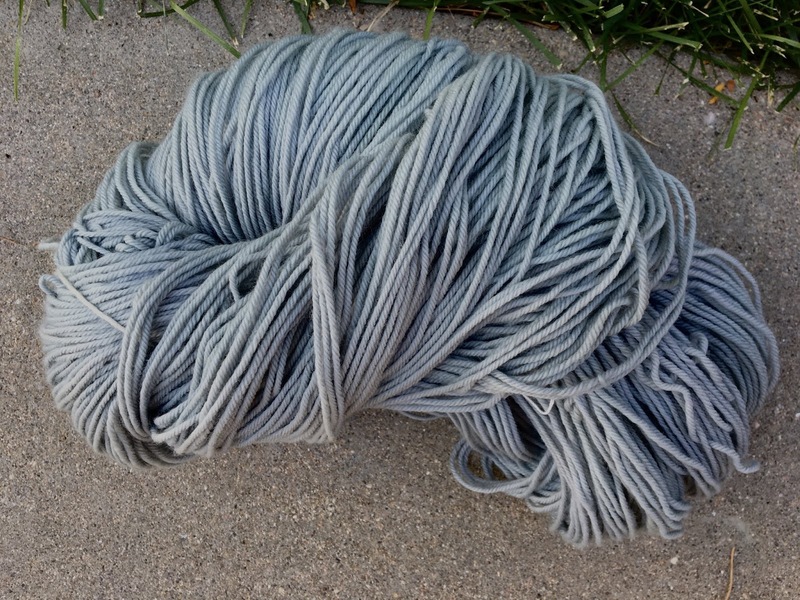 Now, I think I may have trouble deciding what project to use this yarn in, a baby boy sweater? Finally, we went camping with the wee one for three days and boy howdy was it a busy camping trip. As Betty said:" MeMe (that is me) and Me , play play all day." And we did!